A debut novel about a fourteen-year-old boy who witnesses the death of his younger brother in a horrific accident, for readers of "To Kill a Mockingbird, Peace Like a River, "and "Cold Sassy Tree"
After witnessing the death of his younger brother in a terrible home accident, fourteen-year-old Kevin and his grieving mother are sent for the summer to live with Kevin's grandfather. In this peeled-paint coal town deep in Appalachia, Kevin quickly falls in with a half-wild hollow kid named Buzzy Fink who schools him in the mysteries and magnificence of the woods. The events of this fateful summer will affect the entire town of Medgar, Kentucky. Medgar is beset by a massive mountaintop removal operation that is blowing up the hills and backfilling the hollows. Kevin's grandfather and others in town attempt to rally the citizens against the company and its powerful owner to stop the plunder of their mountain heritage. When Buzzy witnesses the brutal murder of the opposition leader, a sequence is set in play which tests Buzzy and Kevin to their absolute limits in an epic struggle for survival in the Kentucky mountains. 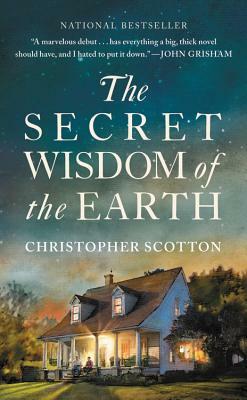 Redemptive and emotionally resonant, "The Secret Wisdom of the Earth" is narrated by an adult Kevin looking back on the summer when he sloughed the coverings of a boy and took his first faltering steps as a man among a rich cast of characters and an ambitious effort to reclaim a once great community.